Owing to the fact that sustainability and the financial performance of businesses are important work outcomes in family firms, in this chapter for both reaching work and family related goals and ensuring sustainibility, it is proposed that family firms as in the case with their non-family counterparts will prefer to exploit innovativeness in attaining their financial goals. The main objective of this chapter is understanding innovative inclinations and preferences of family firms and examining the relationship between innovativeness and organizational cultures of these companies. And it is suggested that organizational culture will act as a catalyzer in this relationship. 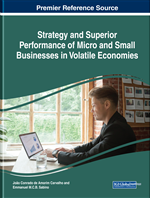 In the chapter, innovativeness in family firms has been examined in detail. Main types of organizational cultures regarding innovation in family firms have been explained in detail, and an approach that suggests that organizational climate is closely related with the innovativeness of family firms has been adopted. Family businesses are unique forms of companies, that have discriminant properties regarding their ownership structures. Their endowments are mostly family owned, interactions among departments are closer, communication lines are shorter, organizational culture is more unified and identification of organization members are higher (Craig, et. al., 2013). In these firms, family members hold all the managerial power in their hands to make significant decisions. Excessive family involvement in work related topics and familial concerns regarding special life of the family members may coincide in family firms. For many family firms success of the company is closely related to the healthy direction of the managerial duality that is necessary to melt family and business realities in the same pot. At the same time, this duality creates a distinguishing charachter for family firms.These firms are mostly very ambitious to attain business goals since these goals serve the benefits of both the family and the firm, due to overlapping systems encompassing ownership, administration and governance. Furthermore, family firms benefit from shared familial value systems nourished by an expertise and experience accumulated over time. Family members working in the family business often build strong emotional bonds with their organizations. These strong psychological bonds and mutual understanding regarding their shared mindset and values, namely, the socioemotional wealth, the emotional resource of family firms stemming from their shared experiences, act as a connective and entegrative role in the business values and norms contributes to a more harmonious, agile and engaged business style compared to their nonfamily counterparts. Moreover, in family firms, tacit knowledge that is transmitted across generations is an important strategic asset for the organizations (Cabrera-Suarez et al., 2001). Accumulated business knowhow and expertise, and detailed knowledge about the organizational dynamics make these organizations more harmonious and builds trust among organization members. Being identified with their organizations and knowing how to handle interior risks and problems, individuals in these organizations can foresee what will happen when they attempt to do something. Family business literature insists that, family firms’ success is not related to the same kinds of performance metrics as in the case with non family firms. In family firms, healthy administration of succession process, efficiency of the family business system, long term sustainibility, establishment of a proper balance between family and non family members working in the family business and solving familial and business related conflicts are examples of metrics that are often used to measure performance of the system (Habbershon & Pistrui, 2002). As in the case with many other firms, family firms resort to several methods in reaching their financial and managerial goals. Despite the belief that, benefiting from innovativeness is not very common among family firms, in this paper it is claimed that in a proper organizational climate, family firms can take the advantage of their agile structure by engaging in innovative activities. And, innovation is accepted as openness of the firms to novel ideas and it is regarded as an aspect of family firm’s organizational culture. In this study a Hofsteden persepective of organizational culture will be adopted in order to understand effects of organizational culture in family firm innovativeness. It is a theoretical study examining extant literature on family firm innovativeness and culture relationship. With the aim of explaining this relationship, family firm innovativeness and the extant literature on organizational culture- family firm innovativeness have been examined and a general inclination of family firms were searched for.